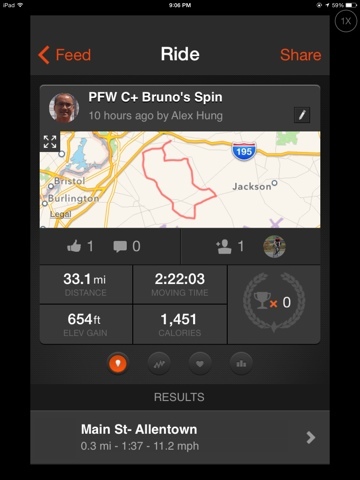 Done my first 30+ miles ride with the Princeton Free Wheelers group this morning. We were cruising all the way and I had no problem going the distance. Now I’m much more confident about being able to complete the 5 Boro 40 miles route.